We can confirm that Arsenal have finally completed the signing of Denis Suarez from Barcelona. This was revealed by the club’s official website and handles earlier today. Jersey number also assigned. The attacking midfielder who has been a major target for the Gunners all through the winter transfer window which ends today has made the headline numerous times over a possible switch to the Emirates Stadium. 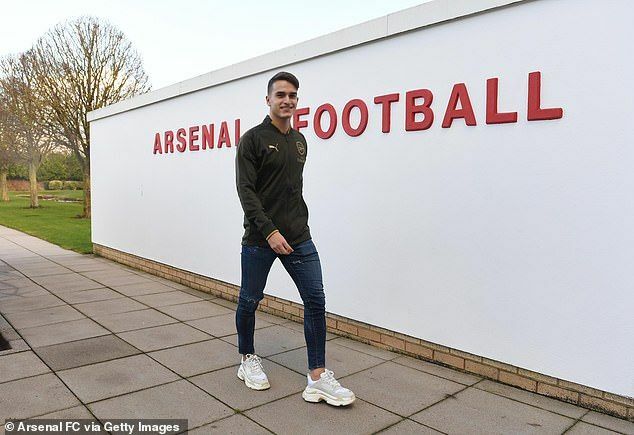 After lengthy talks, it seemed the deal had hit the rock at a point but negotiations resumed some days ago following the Spaniard’s agreement to extend his contract till 2021 before heading to Arsenal on loan. His new employers have an aoption to permanently recruit him at the end of the season. The move is good for both sides. While Arsenal needs to strengthen its squad, the 25-year-old requires playtime which he did not get adequately at the Camp Nou. He has managed 71 appearances since arriving in 2013 with eight coming from the present campaign. The arrival of Suarez means he will reunite with Unai Emery having played under him while on loan at Sevilla. It is also a return to the Premier League where he spent a part of his teenage career with Manchester City prior to his transfer to Barca. Suarez will wear the number 22 jersey at Arsenal. Arsenal are hoping to bring in at least one more player in either Croatian international Ivan Perisic or Belgium’s Yannick Carrasco.